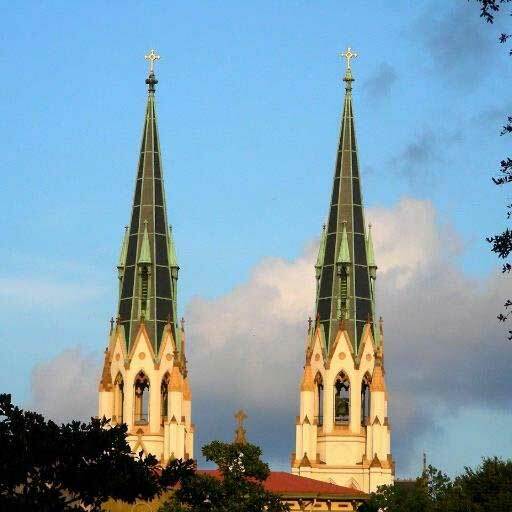 This French Gothic Cathedral of St John the Baptist was originally dedicated in 1876 and rebuilt in two years by the Catholics of Savannah after the devastating fire on February 6, 1898 which destroyed all of the Cathedral but the outside walls and the two spires. 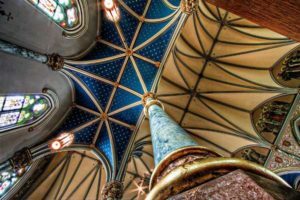 The Cathedral remains in the top 10 historic sites to visit in the United States.Visitors continue to rate the Cathedral as, “a must see,” during their trips to Savannah. Immigrants fleeing turmoil in Haiti and France established Savannah’s first parish, the Congregation de Saint Jean-Baptiste, near the end of the 18th century. To accommodate a growing Catholic population, half a trust lot on Liberty Square was reserved as a building site for the small frame church of Saint John the Baptist. On August 2, 1811, the Mayor and Aldermen of Savannah granted a petition for a larger parcel of land at Montgomery and Hull Streets; but the congregation instead choose a site on Drayton and Perry Streets. The first Bishop of the Diocese of Charleston (1820), which encompassed all of Georgia, was Bishop John England, and he placed the cornerstone of the new brick church. 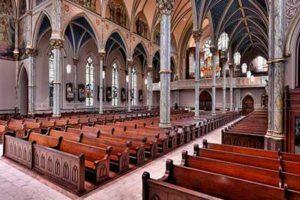 On April 1, 1839, Bishop England dedicated the Church of Saint John the Baptist, which seated 1,000 people. Pope Pius IX erected the Diocese of Savannah on July 19, 1850, with the Right Reverend Francis X Gartland as the first bishop. 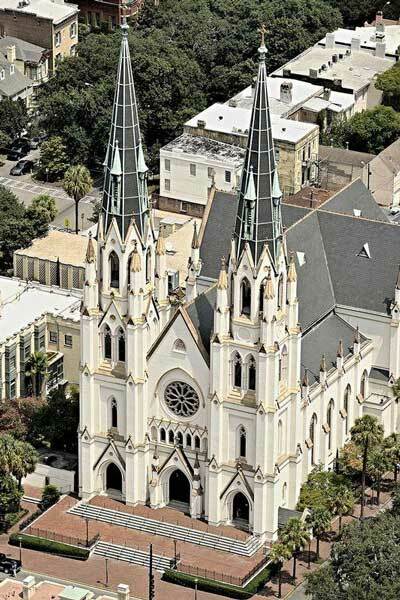 Saint John the Baptist Church (the only Catholic church in Savannah) was repaired following hurricane damage, enlarged and named the Cathedral. 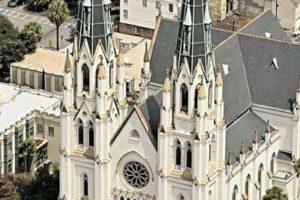 The Right Reverend Ignatius Persico, fourth bishop of Savannah, began planning the construction of a new Cathedral. He procured land on Abercorn Street from the Sisters of Mercy, but resigned the see in 1872 due to poor health. 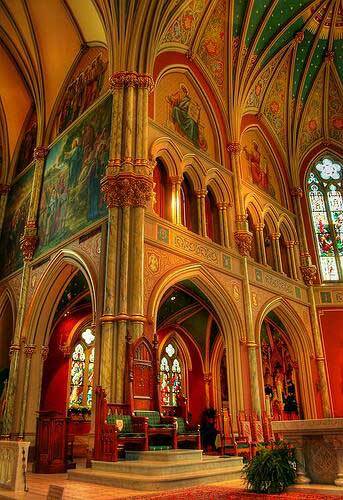 The Right Reverend William H. Gross, C.Ss.R., laid the cornerstone of the new Cathedral on November 19, 1873. 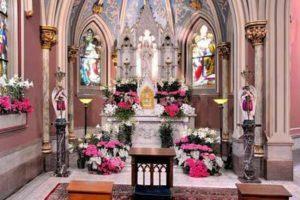 The new structure was dedicated to “Our Lady of Perpetual Help,” a name the Cathedral retained for ten years. 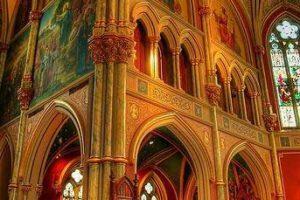 On April 30, 1876, the Most Reverend James Roosevelt Bayley, Archbishop of Baltimore, dedicated the new French Gothic style Cathedral, which was suitably soaring and ornate, with four side altars of white Italian marble. The Right Reverend Thomas A. Becker completed the Cathedral of St John the Baptist with the building of the spires in 1896. The brick structure was also stuccoed and whitewashed. 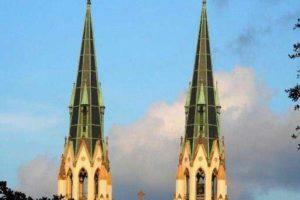 A devastating fire on February 6, 1898, destroyed all of the Cathedral but the outside walls and the two spires. 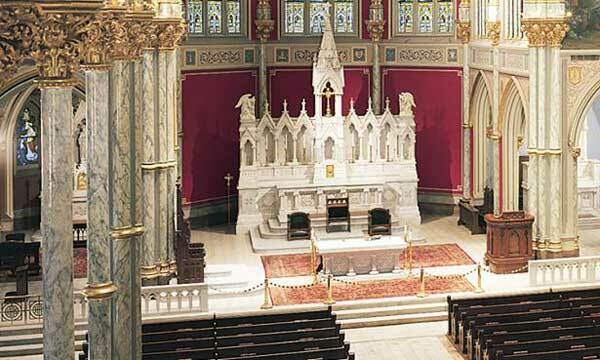 The rebuilding began immediately, and the seventh bishop of Savannah, Benjamin Keiley, celebrated the first mass in the rebuilt Cathedral on December 24, 1899. 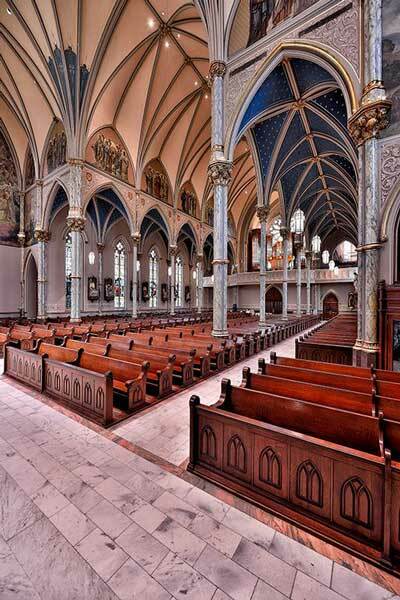 The rebuilt Cathedral of St John the Baptist was dedicated October 28, 1900, by the apostolic delegate to the United States, Archbishop Sebastian Martinelli. 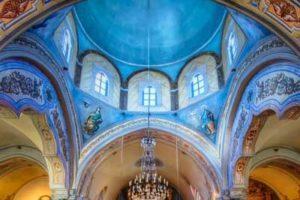 It was another 13 years after the fire before the extensive decoration and artwork of the interior were finished. Savannah artist, Christopher Murphy, led the design and creation of the murals, and the stained glass windows were executed by the Innsbruck Glassmakers of the Austrian Tyrol, circa 1904. Following the retirement of the church’s debt, which was a requirement for consecration at that time, Bishop Keiley was able to preside over the solemn consecration of the Cathedral in 1920. The Most Reverend Thomas J. McDonough directed a renovation of the Cathedral between 1959 and 1963. Improvements included the entrance plaza and heating, cooling and lighting upgrades. 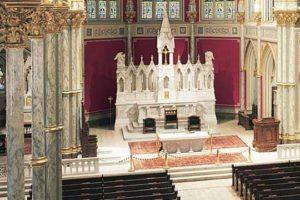 A new decorative scheme was established based on the original color palette, and a new pulpit and altar rail were added. The twelfth bishop of Savannah, the Most Reverend Raymond W. Lessard, closed the church while the decaying timber foundations were replaced with reinforced concrete. 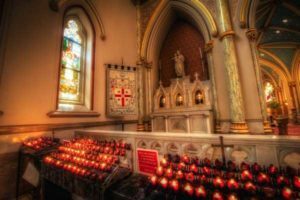 Guided by the tenets of the Second Vatican Council, liturgical updates were executed, with the high altar placed for the celebrant to face the congregation. In September 1998, the Most Reverend J. Kevin Boland, the thirteenth bishop of Savannah, commenced a major restoration for the Cathedral. Directed by the Cathedral Rector, Monsignor William O. O’Neill, the exterior project included the replacement of the slate roof. 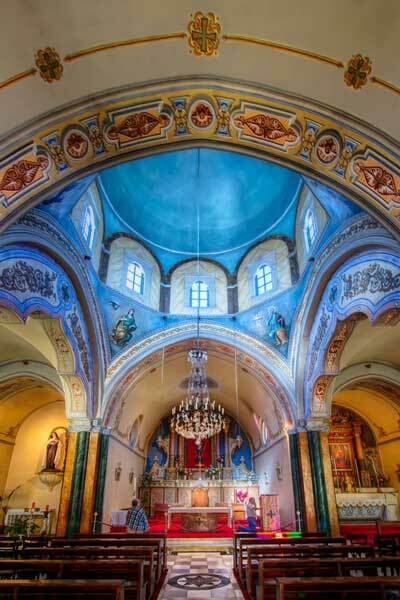 Conrad Schmitt Studios of New Berlin, Wisconsin was commissioned for the restoration of the decorative paint scheme, murals, stained glass and Stations of the Cross. 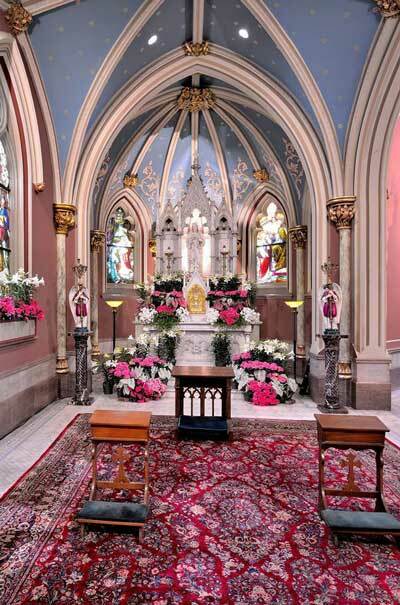 The restoration was completed in November 2000 to honor the 150th anniversary of the diocese and the 100th anniversary of the rededication of the Cathedral. Also by request at other times.